These aren’t just gadgets that charge your devices faster or “groundbreaking” apps — they have potential for lasting impact. They can change the world. 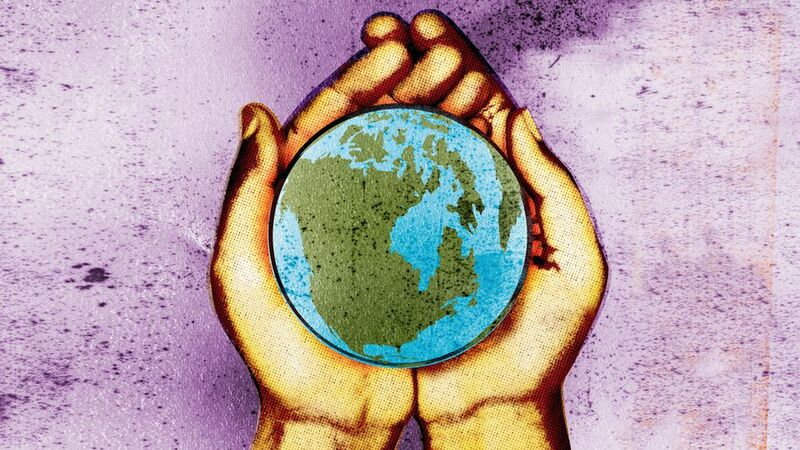 From mind-controlled exoskeletons to solar-powered toilets that turn waste into biofuel, here are 14 innovations that address some of the most important issues of our time. 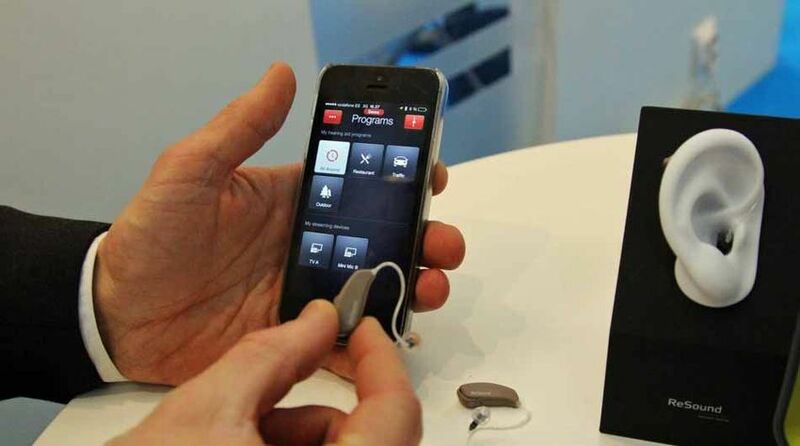 ReSound LiNX is a made-for-iPhone hearing aid that launched globally in February at the Mobile World Congress. It’s a Bluetooth-enabled device that allows the wearer to adjust sound settings from his or her smartphone, which helps anyone wearing a hearing aid be less noticeable when adjusting the device in public. The hearing aid also records data using the ReSound app. The wearer can personalize his or her experience, for example, enabling location-specific volume settings. 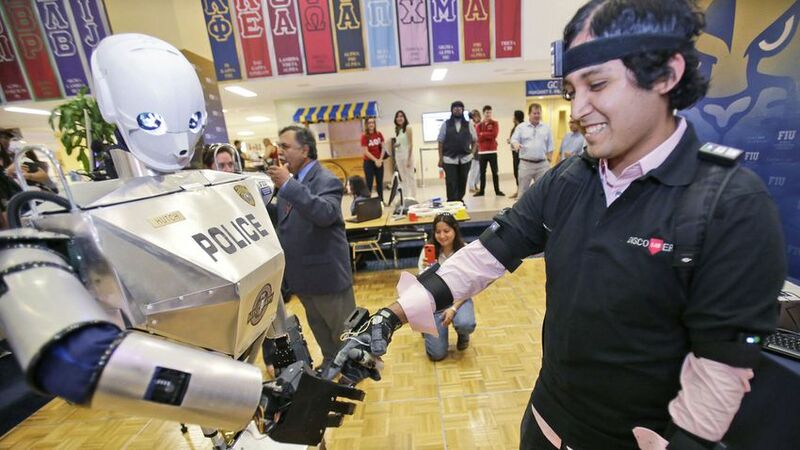 A team of undergrads at Florida International University’s Discovery Lab developed a six-foot-tall, 75-pound robotic prototype to eventually help disabled police officers and military personnel serve as patrol officers. Combining telepresence and robotics, an individual uses Oculus Rift, a motion-tracking vest, arm bands and motion-sensing gloves to control the Telebot remotely. The project began in 2012, with the prototype being the team’s latest accomplishment. Next steps include building an outer shell and conducting field tests. In February the Vodafone Foundation unveiled the Instant Network Mini, a new portable mobile network that fits in a backpack. 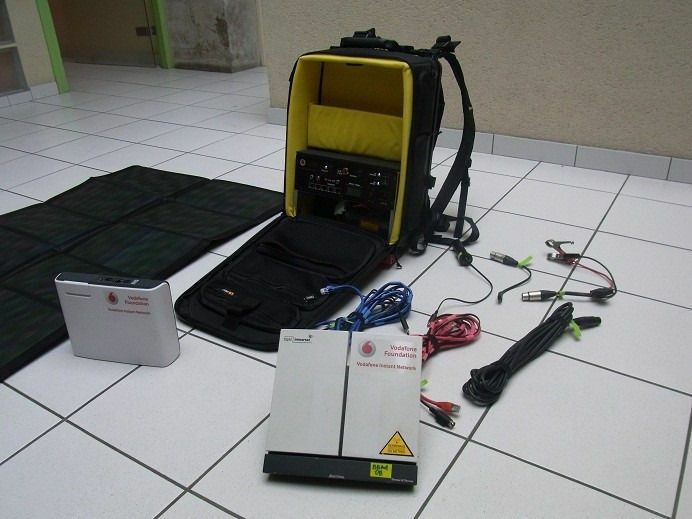 Weighing approximately 25 pounds (the previous incarnation weighed about 200 pounds), the network takes only about 10 minutes to deploy, which is extremely useful for aid workers responding to disasters. The Instant Network Mini allows up to five simultaneous calls within a 100-meter radius, as well as thousands of text messages. In March, Stanford bioengineer Manu Prakash developed a $.50 paper microscope, dubbed the Foldscope. It’s a piece of layered cardstock about the size of a bookmark, holding a micro-lens that magnifies objects up to 2,000 times their size. The fact that it’s inexpensive, customizable and easily assembled makes it perfect for children who want to enter STEM fields, as well as citizen scientists and researchers in regions where pricey lab equipment is inaccessible or unaffordable. Approximately 2.5 billion people lack access to adequate sanitation. A research team at the University of Colorado Boulder designed a new toilet in an effort to bring sustainable change to those people. 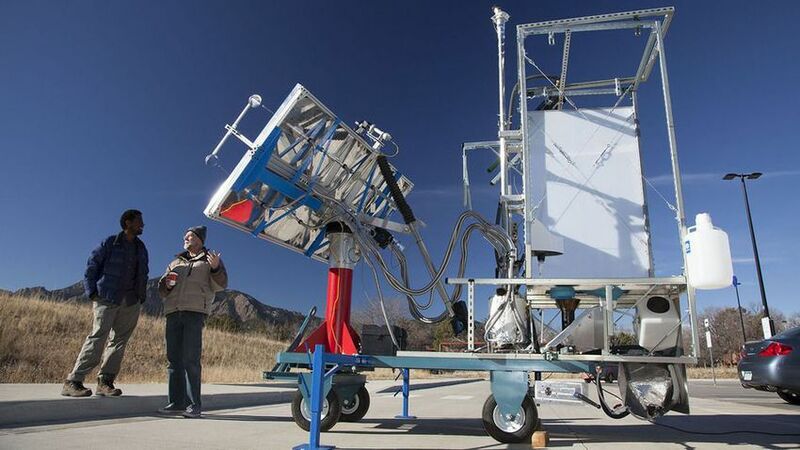 The Sol-Char Toilet is a solar-powered throne that uses parabolic mirrors and fiber optic cables to torch waste and produce a byproduct called biochar, which can be used for agriculture and fuel. The actual toilet isn’t ready for the field yet, however – that’s the next step, according to team lead Karl Linden. Idaho-based startup Solar Roadways made headlines after its promotional video, “Solar FREAKIN’ Roadways,” went viral in May. 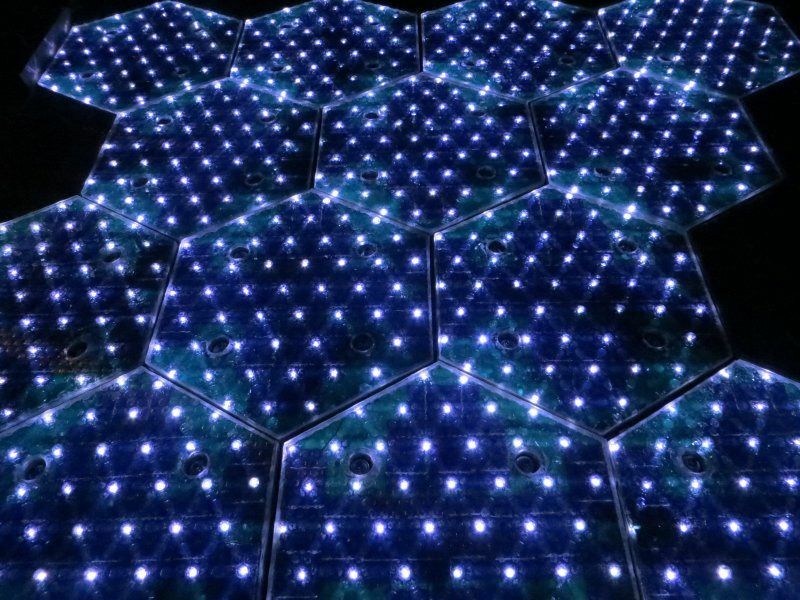 Using tempered glass and photovoltaic cells, the company created a smart, microprocessing, energy-harvesting surface that generates power, adjusts to heat or cold, and lights up roadways with LEDs. Solar Roadways received funding in 2009 from the Federal Highway Administration, and completed its Phase II Protoype – a parking lot – in March 2014. An unrelated initiative – SolaRoad, through the Netherlands Organization for Applied Scientific Research – constructed the world’s first solar bike path in Amsterdam in November. 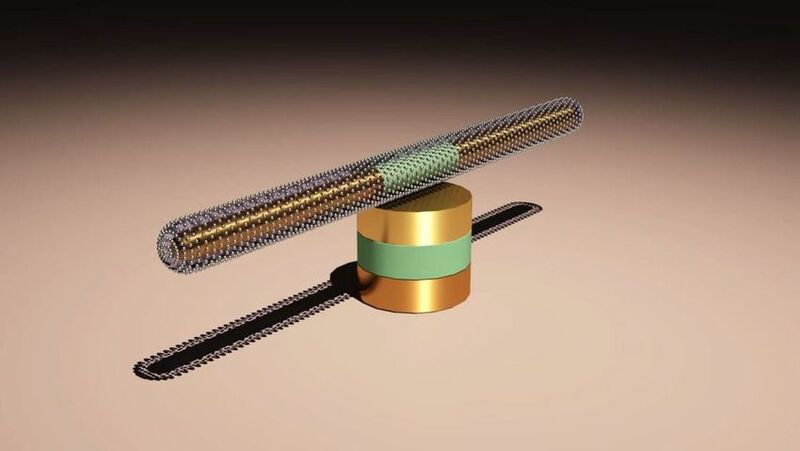 Researchers in Texas developed a new nanomotor, more than 500 times smaller than a grain of salt, that rotates at 18,000 RPMs (as fast as a jet engine) for 15 hours. Previous nanomotors rotated much more slowly and stopped after only a few minutes. The true breakthrough, however, is that a group of these nanomotors can rotate in sync, potentially one day delivering cancer-killing medicines inside cells. Juliano Pinto, a 29-year-old paraplegic man, gave the first kick of the World Cup in June with the help of a mind-controlled robotic exoskeleton. Created by a team led by Miguel Nicolelis, a professor at Duke University, the invention uses electrodes to convert brain waves into physical movements. Under the nonprofit Walk Again Project, Nicolelis and the other scientists hope the robotic body suit will allow paralyzed people to eventually forego wheelchairs completely. 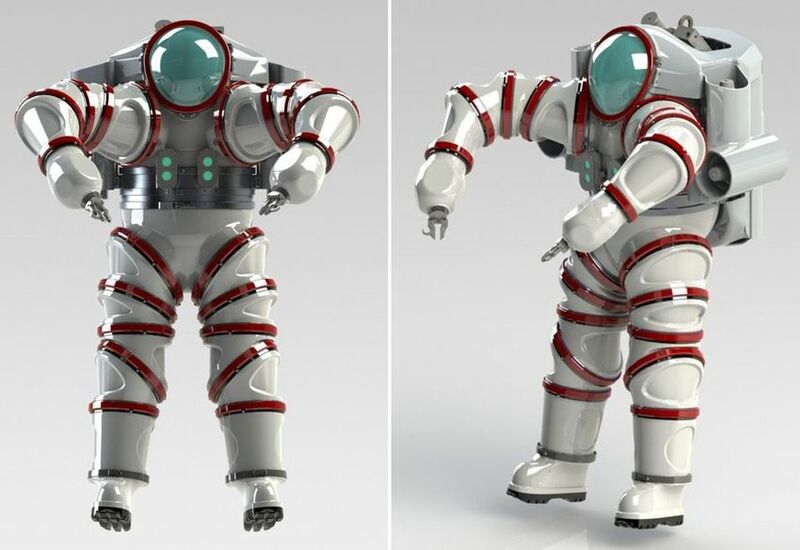 The Exosuit, a next-gen atmospheric diving system measuring 6.5 feet tall and weighing in at 530 pounds, allows divers to safely go more than 1,000 meters below the surface of the ocean. It was built in 2013, but was unveiled and first used for scientific purposes in July 2014 to study previously unattainable bioluminescent organisms deep within the Atlantic Ocean. Scientists hope to use these organisms’ fluorescent proteins in studies for cancer detection and spinal cord injuries. 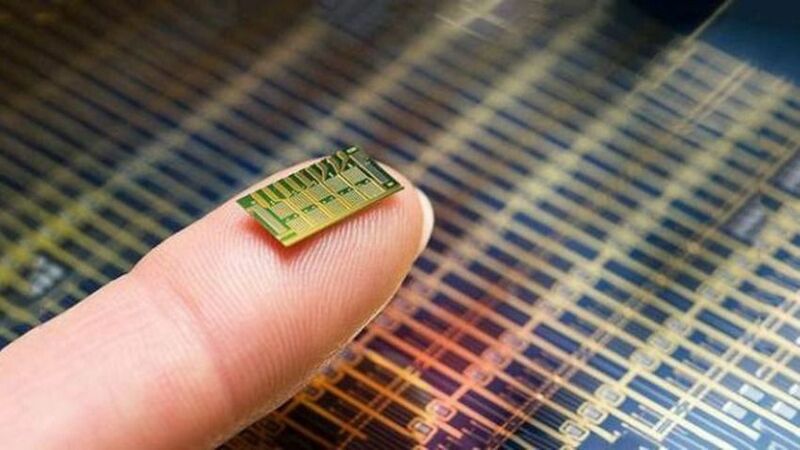 In July, Massachusetts-based startup MicroCHIPS announced development of an implanted microchip that can deliver drugs, including hormonal birth control, beneath your skin. A remote control opens a reservoir in the chip, allowing it to release medication or hormones over an extended period of time. MIT scientists developed the tech behind the device, and licensed it to MicroCHIPS. The startup is working to get FDA approval for pre-clinical trials in 2015, and aims to put it on the market by 2018. The technology could be especially beneficial for women in developing countries, who have limited access to affordable contraception. Scientists at Stanford University have developed a sensor that can monitor glaucoma using a tiny device implanted in the eye. 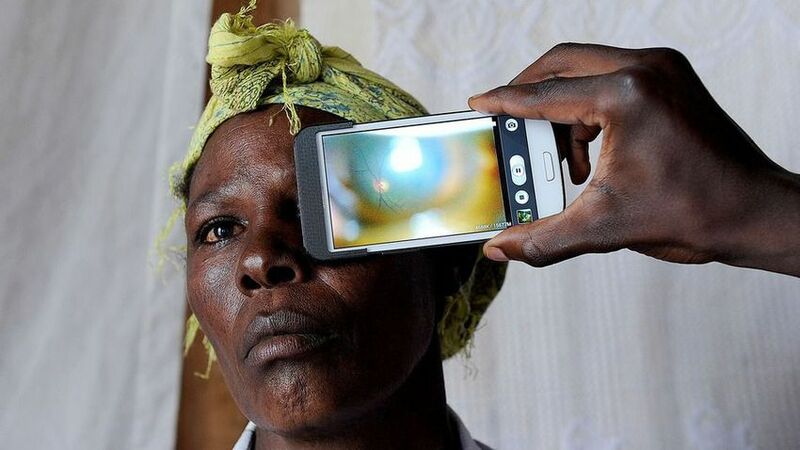 The technology, which can be used with a smartphone camera, has the potential to prevent blindness for people around the world. Glaucoma inflicts progressive damage on the optic nerve, but it usually doesn’t have other symptoms besides loss of peripheral vision (which can be difficult to notice right away). The implant, which is only a few millimeters long, measures intraocular pressure (IOP) in the eye, which is imperative at critical stages of glaucoma. The tech has seen success in animals, and, as of September, is undergoing trials in humans. A similar smartphone app, Peek, launched a crowdfunding campaign in November to increase access to high quality eye care across the globe. Funders can purchase the kit for themselves or for health care workers through Doctors Without Borders or the International Agency for the Prevention of Blindness. It’s expected to ship in October 2015. A team of engineering interns at Intel, as part of the company’s Intel Collaborators program, developed a connected wheelchair that monitors the user’s vitals, including heart rate, body temperature and blood pressure. Stephen Hawking unveiled the project at Intel’s annual development conference in September. Developers can customize the specific requirements. More than 40% of the world’s population rely on solid fuels for cooking, especially in the developing world. However, more than 4 million people die each year from health problems related to inhaling carbon monoxide or pollutants from stoves that burn wood, biomass or coal. This accounted for 7.7% of the global mortality in 2012. That’s why initiatives like the Global Alliance for Clean Cookstoves and its member companies are looking for better solutions. 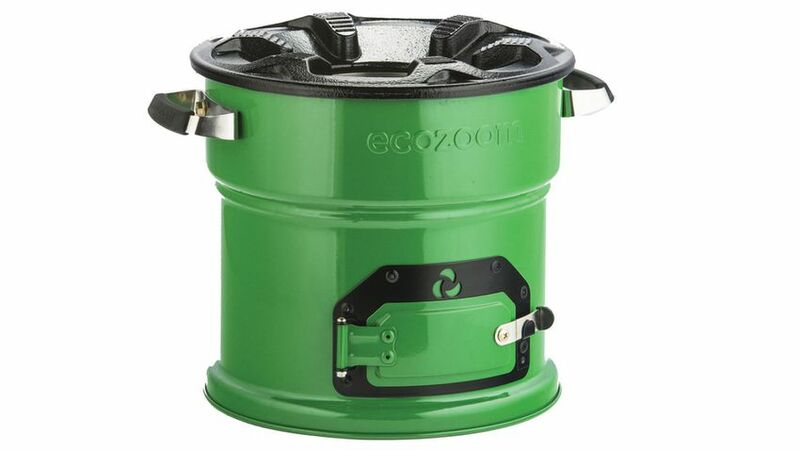 One social enterprise, EcoZoom, developed its energy-efficient Zoom Jet cookstove, which reduces smoke emissions up to 70% and the amount of fuel used to 60%. The stove won the 2014 International Design Excellence Award and has sold more than 90,000 units worldwide. Companies weren’t the only innovators in the cookstove space this year; two UC Berkeley students developed the K2 cookstove, which charges your phone and reduces smoky emissions by 95%. It will retail at $50. 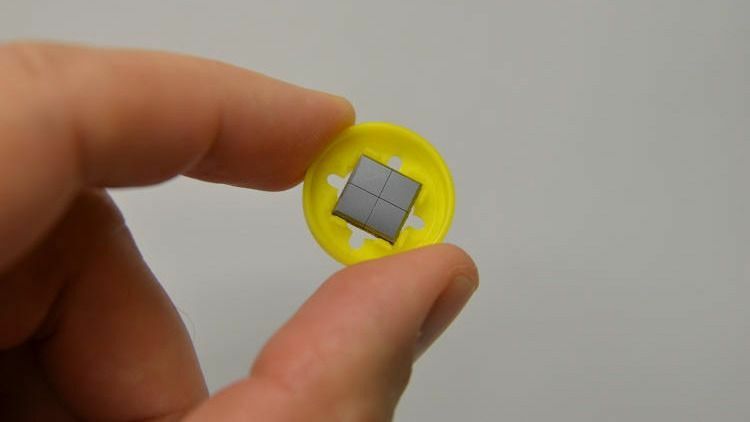 Australian company Vaxxas has created the Nanopatch, a piece of nanotechnology poised to replace needle-based vaccines. The delivery system, which is about the size of an adult thumbnail, uses thousands of vaccine-coated pins that penetrate the skin. Not only is it supposed to be painless, it’s also expected to be more effective. The Nanopatch gets rid of the need to refrigerate conventional liquid vaccines, which can be especially helpful for transporting vaccines in regions without power in developing countries. It also increases the safety of health workers, who may be exposed to needle-stick injuries. Vaxxas received funding from the World Health Organization in September for pre-clinical studies using the polio vaccine. 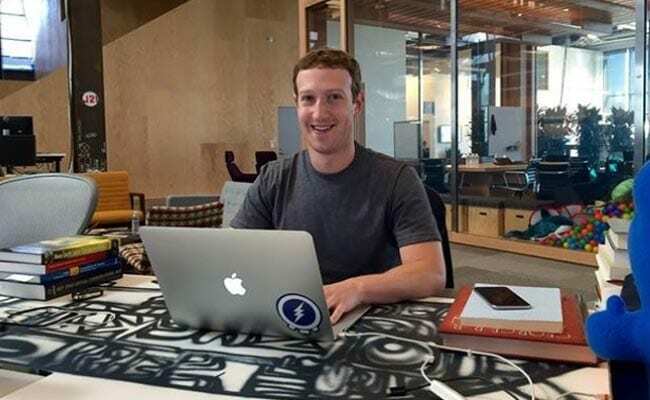 Facebook CEO Mark Zuckerberg announced the company’s Connectivity Lab in March, unveiling plans to use drones and lasers to “beam” Internet to the world in an effort to get the last 15% of the population, who aren’t connected, online. Not many details were given, but at the Social Good Summit in September, Yael Maguire, engineering director at Facebook Connectivity Lab, told Mashable CEO Pete Cashmore that the drones would be “roughly the size of a commercial aircraft, like a 747” and will focus on developing countries. 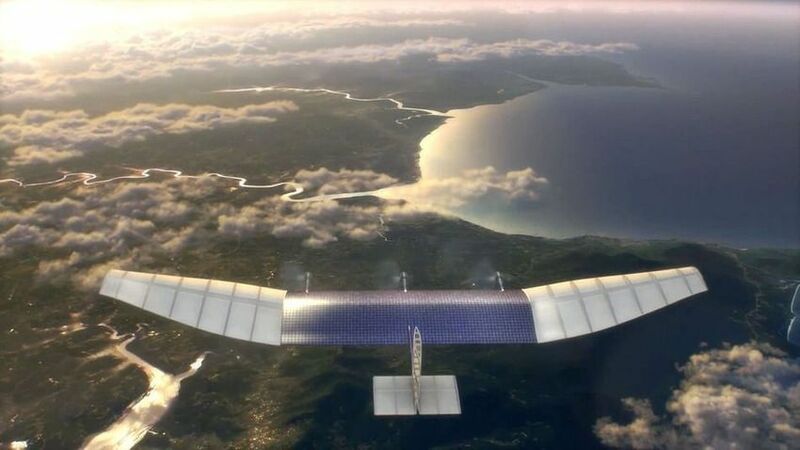 However, the drones are not yet operational – Facebook hopes to get one of them in the air for testing in 2015. 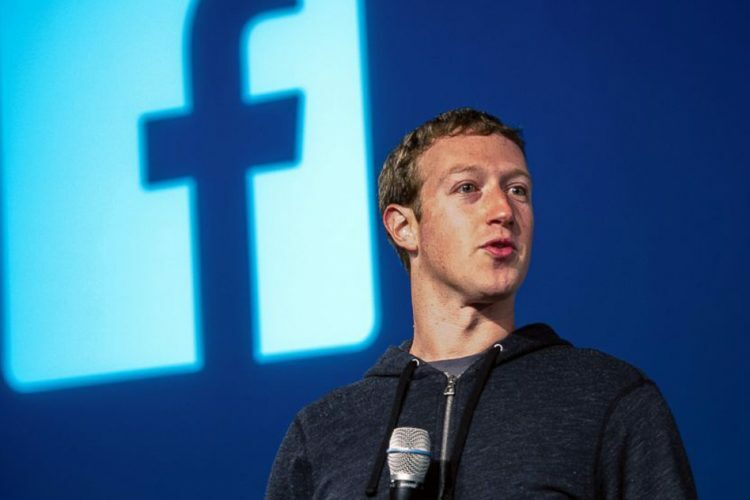 But Facebook’s Internet.org initiative has helped connect 3 million people to the Internet in the Philippines and Paraguay, and in July it brought free mobile Internet to Zambia.